The health benefits of physical activity include a decreased risk of cardiovascular disease, type 2 diabetes, obesity, osteoporosis, certain types of cancers, stress, anxiety, and depression. It is beneficial in improving the general well being, brain health, weight loss, and Parkinson’s disease. In reality, anyone can take up any kind of exercise regime and very easily begin being active. Some people may not be able to start actual exercise regimes due to preexisting conditions like heart diseases. In such cases, they can consult their doctors for the kind of physical activities that they can begin to reduce the risks of being inactive, while still remaining healthy in terms of their other conditions. Research by Harvard Medical School, US shows that moderate or routine physical activity has been reported to be effective in reducing the incidence and development of certain cancers, such as colon and breast cancer (Medicine & Science in Sports & Exercise 2003). Physically active men and women showed reduced risks of about 30% to 40% in colon cancer and a 20% to 30% reduction in breast cancer in women. There have also been pieces of evidence that the recurrence of cancer and deaths were also reduced thanks to physical activity. Studies on patients with cancer showed increased survival rates of up to 73% in patients that participated in considerable levels of physical activity. Experts also suggest that physical activity, combined with a healthy diet, may help to reduce the risk of cancer. Osteoporosis is a degenerative bone disorder which is often reported in middle-aged men and women. Osteoporosis is particularly observed more in women than in men. Research on the relationship between osteoporosis and physical activity revealed that exercises, particularly weight-bearing and resistance exercises showed increased bone mineral density and a reduced risk of osteoporosis, particularly in middle-aged men, women, and in people of advanced age. 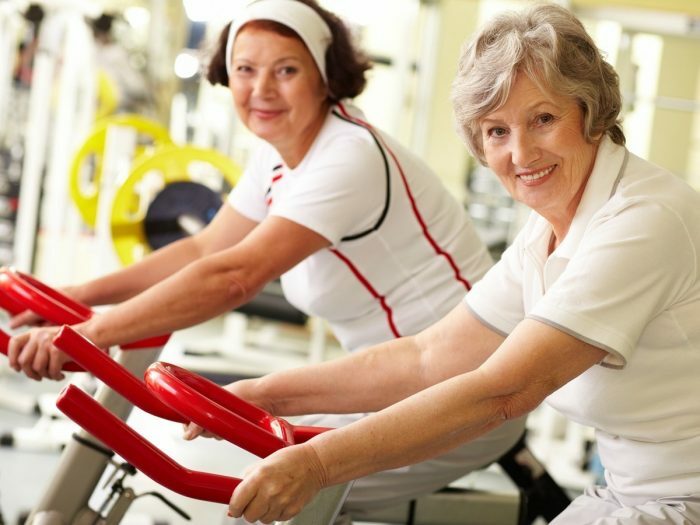 Physical activity has also been reported to have reduced the risk of fractures, which often affects aging people. Physically active people had a lower risk of fractures compared to physically inactive people. Therefore, exercise is recommended to reduce the risk of developing osteoporosis. Studies have shown that brain health can be improved through physical activity and the fruits of physical activity can be realized in later stages of life when brain health can be affected in a more noticeable way. Recent research suggests that activities such as climbing a tree and balancing on a beam may help improve cognitive skills. Moderate to heavy physical activity from an early age has benefits such as improved learning and mental performance, stimulation of neurogenesis, increased resistance to brain injury, and improvement in brain plasticity processes. Physical activity during pregnancy is known to be good for overall health. Moderately intense physical activities like aerobics and brisk walking help in maintaining good health of the heart and lungs during pregnancy. Many pregnant women experience mood swings, but being physically active is also known to improve mood during pregnancy. Being physically active during pregnancy does not mean exercising all at once, but rather, spreading the activities out over the whole day can be beneficial. When starting any activity during pregnancy, one should remember to start slowly and increase the intensity over time. According to the CDC, being active during pregnancy does not increase the risk of premature delivery, does not decrease the body weight of the baby, and does not affect milk production. The Center for Disease Control has now stated that physical activity is highly beneficial as a pain reliever. According to the CDC, moderately intense activity or lower activity reduces the risk of disability in arthritis in most cases. Both aerobic and muscle-strengthening activities are known to work well for people with arthritis. In October 2008, the Department of Health and Human Services released Physical Activity Guidelines for Americans in which a lot of focus was put on physical activity to counter arthritis. Try to allocate 20 minutes to half an hour every day for physical activity. Take up simple physical activities such as brisk walking, warm-up exercises, cycling, yoga, and such other aerobic exercises. Aerobic exercises increase the rate of your heartbeat, so heart patients must consult their doctors for appropriate exercises. Do not overdo any activity when you are just beginning. Exercises require time for your body to get accustomed to. The heart also needs to be accustomed because it is probably not used to rigorous activity. How much physical activity is enough to reduce the risk of diseases and premature death? Researchers have been able to compute the optimum amount or volume of exercise, which includes frequency, duration, and intensity of exercises in order to obtain the minimum health benefits. Estimated energy expenditure of about 1000 kcal per week is regarded as the minimum amount of exercise that a person should participate in. Some studies indicate that expending about 2000 kcal per week has been noted to be of a medium level and has been associated with increasing life expectancy by 1-2 years. These energy specs are for young and middle-aged people. For elderly people, lower than the minimum energy expenditure of 1000 kcal per week has also been reported to have positive effects. Minimum energy expenditure of about 500 kcal per week has been recommended for those older populations.